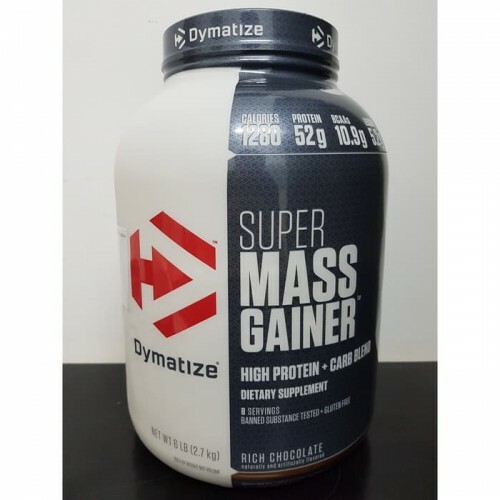 Dymatize Complex Carbohydrate Blend (Made Up Of The Highest Quality Corn Dextrins Available From Maltodextrin Providing Ultra High Levels Of 100% Pure Long Chain Glucose Polymers), Dymatize Sustained Release Protein Blend (Whey Protein Isolate, Whey Protein Concentrate, Calcium Caseinate, Egg Albumin, Milk Protein Concentrate), Fructose, Quic Creamer: (Soybean Oil+, Corn Syrup Solids, Sodium Caseinate, Mono- And Diglycerides, Dipotassium Phosphate, Sodium Silico Aluminate), Natural And Artificial Flavors, Dymatize Super Mass Gainer Vitamin And Mineral Blend (Potassium Chloride, Vitamin A Palmitate, Vitamin D3 (Cholecalciferol), Calcium Phosphate, Sodium Ascorbate, Vitamin E (D-Alpha Tocopheryl Acetate), Niacinamide, Pantothenic Acid, Zinc Oxide, Pyridoxine Hydrochloride, Thiamine Hydrochloride, Folic Acid, Biotin, Riboflavin, Potassium Iodide, Cyanocobalamin, Chromium, Chloride, Sodium Selenite), Acesulfame Potassium. 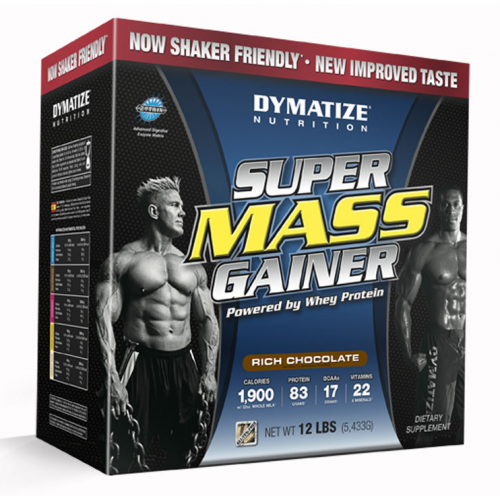 Contains Milk, Egg And Soy. +Soy Oil Is Genetically Modified.